Ever wished you could take your computer with you without actually taking your computer with you? Welcome to the Cloud Computing. 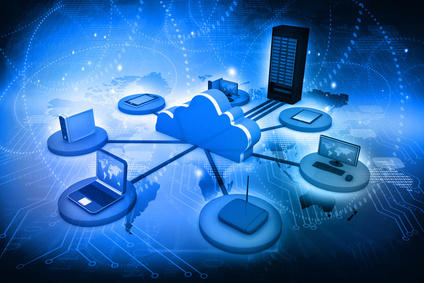 Cloud Computing, Hosted Desktop, Hosted Virtual Desktop, Desktop as a Service (DaaS)… whatever you want to call it, working in the Cloud computing is all the rage. ITD Solutions is proud to offer the most dependable cloud computing available anywhere in the world. Our goal is to make cloud migration exceptionally easy for your company. Not all cloud computing companies are created equal. At ITD Solutions, we evaluate numerous criteria in determining the very best fit for your business. And because we do all the work, you can turn your focus back to your day-to-day business while we coordinate solutions for your specific needs. Before you know it, you’ll be enjoying the convenience, flexibility, and speed of cloud computing. We’ll also negotiate lower prices than you could have found on your own, thanks to our valued partnerships with cloud computing companies, both locally and worldwide. IT Departments typically spend money on hardware and consistently upgrade that hardware on a never ending basis. Hardware deteriorates and gets old thus making the Capital Expenditure (CAPEX) an ongoing activity for IT Departments. With the advent of SaaS that has all changed. The CAPEX has become an Operational Expense (OPEX). Today you don’t have to invest in costly deteriorating hardware. That same hardware is replaced with cloud technology making your budget a fixed item that is predictable. For example if you have to replace your Microsoft Exchange server that could cost you thousands of dollars. But what if you could move your entire email platform to the cloud and pay one flat rate per user per month and have it work just like it does today? That’s Hosted Exchange. That’s Software as a Service. ITD Solutions can help you find the best possible cloud solution for your exact needs. One form of Cloud Computing is Desktop as a Service (DaaS), which allows you to host or store your computer desktop in a virtual space and retrieve that same desktop from any device, anywhere in the world. Let’s say you’re starting an important email at your office in Boston; you have to run out of the office for the rest of the day and don’t have time to finish the email. When you get home in Worcester, just open your iPad and, instantly, you’re right back at your office desktop with the very same email opened right where you left it — but in the comfort of your own home. That’s the magic of Desktop-as-a-Service (DaaS). The days of your IT personnel running around the office and updating each machine every few months are over! With DaaS, all of your desktops are remotely managed from a single administrator account, in which users can be added or deleted with a simple keystroke. This not only frees up your IT resources it also gives you the power to add, remove or change a user in seconds. Chances are your local network can be hacked easier than a Cloud based solution. Many companies don’t have the resources to hire a security guard to protect their network 24/7. However, all of the partners we work with do and they all make sure that their networks are 100% secure as seen by their Service Level Agreements (SLA’s) and HIPAA compliancy. Have you ever lost a laptop? How much time and effort did it take for you to ensure that the data on that laptop never fell into the wrong hands? How much time and effort did it take to recover all the lost data? With DaaS you will never have to worry about a lost device again. All of your information is stored securely in the Cloud and your monitor simply views it. If your laptop goes missing, you have only lost your “viewer” not your data. Based on a study done by Intel and Ponemon Institute the average cost of a lost laptop is $49,246. That study states: “This value is based on seven cost components: replacement cost, detection, forensics, data breach, lost intellectual property costs, lost productivity and legal, consulting and regulatory expenses.”. This all goes away when your desktops are in the cloud. Never pay another dime on recovering information when you put your desktops in the cloud. Still toiling on a project at 5 p.m.? Want to get home to your family but also feeling the pressure to wrap up your work for the next day? No problem. Go home and pick up where you left off… you don’t even have to take your computer with you. The cloud is accessible immediately, in real time, from any device and at any location in the world. Vacations, commuting, slow email correspondence and multi-person group projects will never be a problem again. If your business has multiple offices, they can all operate as if they’re working from the same digital file cabinet. The cloud offers instant communication when you want it. In fact, you can even host or store all of your business’ documents and files in the cloud, using it either as your primary “hard drive alternative” or simply as a backup storage solution. Cloud computing literally changes the way business is done, for the better. You know how to use your computer’s desktop, right? Now, just imagine if that desktop could be available anywhere you wanted it to be (and only where you want it to be). That’s the Virtual Desktop. Leave your office computer in Boston, and pull up the office desktop on a different device when you get home in Worcester. It’s that simple! The cloud computing companies we partner with can configure a desktop arrangement that lets you access your content whenever and wherever you want. Infrastructure refers to the physical hardware you would use, such as servers on your network. Typically IaaS refers to moving your server to the Cloud and paying for them on a monthly basis, essentially giving you a Virtual Machine that is backed up multiple times in the cloud that will never die (if done correctly). Never buy a new server again. Move it to the Cloud securely within minutes and manageable from anywhere regardless of device. The PaaS service delivery model allows a customer to rent virtualized servers and associated services used to run existing applications, or to design, develop, test, deploy and host applications. Software as a Service came into full light with a little well know company called SalesForce.com. SalesForce revolutionized the way companies purchased software. Why buy a costly Customer Relationship Management software when you could just rent it? That’s what SalesForce did. Recently Microsoft moved to the same model with the creation of Office365. They realized that companies no longer wanted to spend thousand to upgrade Office but paying a small monthly fee per user was much more manageable. Now almost all of your software can be moved to the cloud and your CAPEX can be turned into an OPEX. For a lot of companies, Microsoft Exchange is an essential part of day-to-day life. Everyone, from entry-level employees to the CEO, depends on Exchange to communicate and coordinate in their jobs. With Hosted Exchange, you and your employees can access their respective emails, calendars and contacts anytime and from anywhere. So if it’s late in the day on Friday and you have set up an important Monday morning meeting, you don’t have to worry that your staff won’t have a chance to see it until they get back to their desks. Hosted Exchange keeps everyone in the loop. One of the advantages of having your email hosted in the cloud is that you ever have to worry about your email server crashing again. If done correctly all of your emails and contacts will be backed up securely in the cloud. Just as important for many of our clients is Microsoft Sharepoint, a powerful collaboration tool that becomes even more powerful when it’s hosted in the cloud. George, Jane, and Michael can start a project together from each of their respective offices in the morning and keep working seamlessly as they bounce around from work to home and anywhere in between, using any device — the project stays current for everyone in the cloud, wherever they are. ITD Solutions will work to facilitate the best price from the best provider to fit your exact needs, keeping you connected with your colleagues at lightning-fast speed.